Daily photos of the ELCA churchwide assembly in Chicago, IL August 6, 2007. Pr. Jim Pierce, Pr. 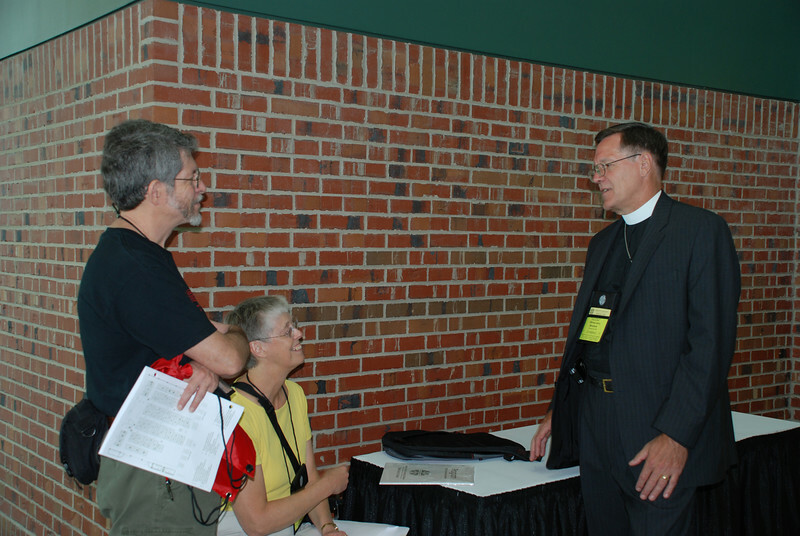 Juel Pierce and Bishop Jerry Manshult sharing ideas about the Churchwide Assembly.